Happy Easter 2017 with a new DJ Chart! 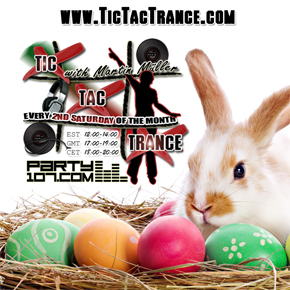 Some tunes are included in my radioshow Tic Tac Trance #112 (April 8 2017) aswell! 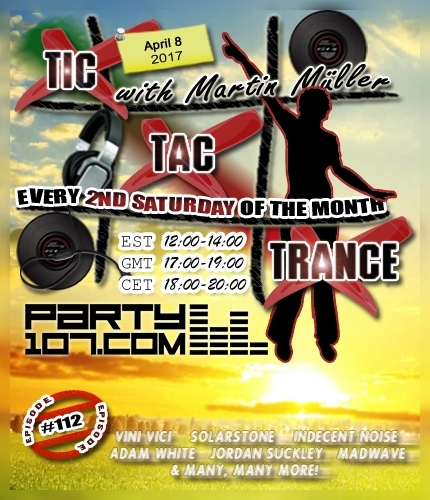 Tic Tac Trance #112 Replay available! Tic Tac Trance #112 is almost here! This episode will air on April 8 2017 on Party107.com and will feature new tunes and remixes by artists like Vini Vici, Solarstone, Indecent Noise, Adam White, Jordan Suckley, Madwave and, of course, many, many more! This time I’ve prepared an uplifting & psychedelic 2 hours underground trance journey. Make sure to tune in!